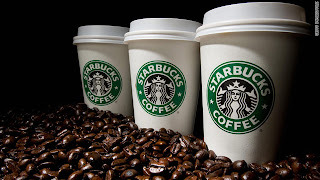 Starbukcs which is a largest coffeehouse chain in the world has entered fast growing Indian market with a launch of its first store at Mumbai. The company which has presence across 60 countries in the world through more than 18,000 stores has 50:50 joint venture with Tata Global Beverages in India. After opening few more stores in Mumbai, Starbucks would expand its presence across key metro cities starting with national capital, Delhi. Starbucks has priced its products competitively in the range of Rs.80 to Rs. 200 in order to compete with existing players such as Cafe Coffee Day and Costa Coffee. With the entry of player like Starbukcs, Indian coffee chain market is surely going to experience exciting times.